Connecting with your heart's intuitive wisdom. What is an Intuitive Pathfinder? An Intuitive Pathfinder is a guide, serving those on their soul’s evolutionary journey. Inspiring and empowering others, an Intuitive Pathfinder assists individuals in identifying their life purpose and addressing the obstacles and limiting beliefs that prevent them from living at their highest potential. Combining their skills and experience as a Coach and a Counselor, with their intuitive abilities and extensive metaphysical backgrounds, Dawn and Catherine connect others with their hearts’ intuitive wisdom. Astrologer Dawn, born in England and now living in the USA was fortunate to grow up in a family who understood the metaphysical world. From a young age, Dawn was exposed to a wide variety of experiences and lifestyles that allowed her to observe people and tap into her natural intuition. Dawn studied Astrology with Julian Lee, Eugene Moore and many others. She was trained in Natal and Relocation Astrology, Advanced Tarot as well as an understanding of the basics of the Venus Sequence, Human Design and Numerology. Dawn is a past President of the American Tarot Association. Astrologer Dawn believes that when you follow who you are at your core and listen to your intuition, that you can customize a life experience that works for you, consisting of success financially, emotionally, mentally, spiritually and physically. From 15-30 years of age, Dawn’s entrepreneurial spirits lead her through 64 full time jobs. She worked in corporate environments in the Legal, Real Estate, Television, Theater, Radio, Advertising, Mortgage Banking and Escrow fields in England and the United States. Ultimately, at the age of 30, she established her own consulting business as an Organizational Business Planner and that was the end of working for anyone else! Age 36 she created Astrologer Dawn and EvolvingU and embarked on the entrepreneurial journey of a Metaphysical Practitioner/Business Coach! Her latest venture is the Intuitive Pathfinders program, where she and Catherine Yunt assist individuals in living at their highest potential. Email her at Dawn@IntuitivePathfinders.com and find out more about Astrologer Dawn at AstrologerDawn.com. Catherine Yunt, M.C. combines her intuitive abilities with a Master of Counseling degree from Arizona State University to assist clients achieve their highest potential. 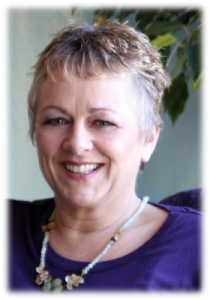 Nine years of collaborative research at the University of Arizona documented Catherine’s expertise as a precognitive dreamer, medical intuitive, psychic medium and energy healing practitioner. Her work is featured in the documentaries Something Unknown is Doing We Don’t Know What and The Life After Death Project and in the books The Energy Healing Experiments by Gary Schwartz, PhD and An Atheist in Heaven by Paul Davids and Gary Schwartz, PhD. 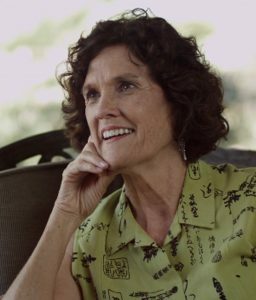 Catherine was a Co-Executive Producer of In Deep Shift with Jonas Elrod, a television series that aired on the Oprah Winfrey Network and was featured as a spiritual advisor in the episode Love Never Dies. Catherine, also an astrologer, was a co-host with Astrologer Dawn on the FM radio show EvolvingU. She is delighted to co-host Intuitive Pathfinders with Astrologer Dawn, picking up where they left off! Founder of Inner Knowing LLC, Catherine mentors, teaches psychic/spiritual development classes and conducts private and group readings in person and over the phone. You can email Catherine Yunt at Catherine@IntuitivePathfinders.com and discover more at InnerKnowing.net. 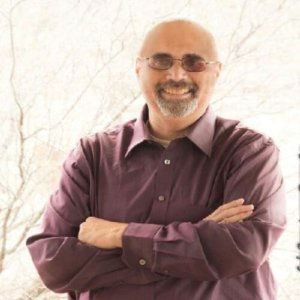 Glen is a Hypnotist, Podcast Producer, Reiki Master and living in the Metaphysical World. He earned his credentials by having three near death experiences (NDE). Understanding that others may not want to go through that experience caused Glen to investigate his intuitive nature. This translated into helping others on their own journey. This podcast is one of those outgrowths. Glen hopes that you enjoy the information and tools presented here. Amika is an author, podcast producer, website developer and single mother. She has earned her MBA from Les Roches in Switzerland and her Certified Strength and Conditioning Specialist (CSCS®) credential as a personal trainer and rehab specialist. She is an all-around guru in the areas of marketing, health, fitness, and sustainable living. Amika is behind-the-scenes at Intuitive Pathfinders, making sure everything is looking good and running smoothly! 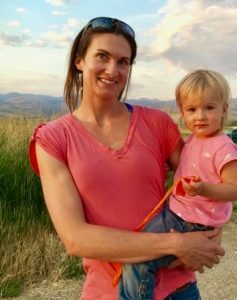 She lives in Montana with her daughter, Madison, and her dogs, Redmond and Coco. She enjoys shepherding her flock of Icelandic Sheep, and loves coming up with new ways to market their pelts, fleece and milk to make creative home and beauty products. Contact her at Amika@IntuitivePathfinders.com and visit her at CopiaCove.com.